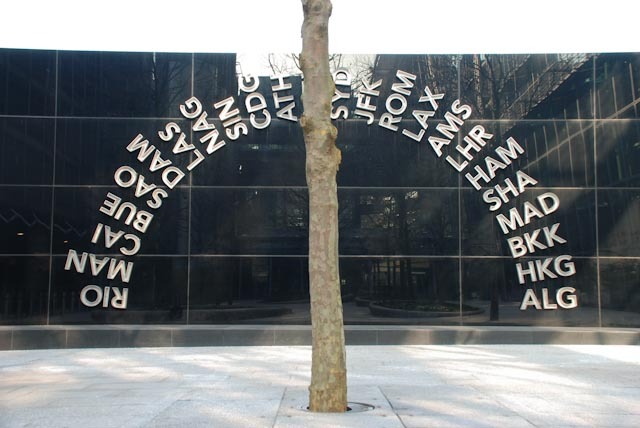 I took the time last week to find the carefully hidden public artwork at London Heathrow's Terminal 5. Between the multi-storey carpark and terminal building are a set of interconnected courtyards. Peaceful public spaces, planted with Plane Trees and up lighters, they make a nice contrast to the mass of passengers in the terminal building. 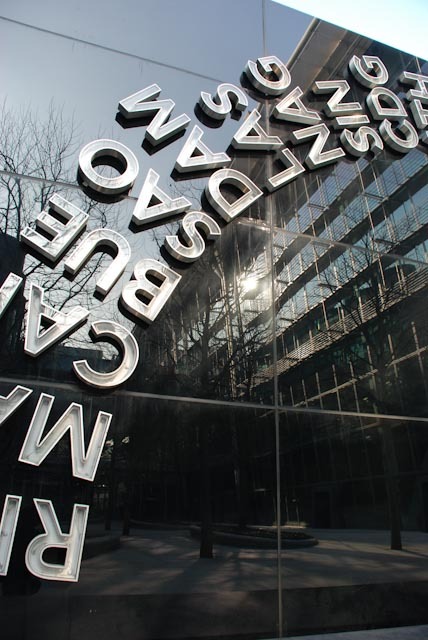 At either end of the courtyards there are complimenting pieces of artwork, two walls, each with a semicircle of three letter airport codes of places served by flights from Terminal 5. The North end wall was the most impressive (though it does not light up like it's southern neighbour), the black marble gave a great reflection in the afternoon light of the terminal building. Richard Rogers-designed terminal has many design elements from an earlier building of his, the Millennium Dome. I took some film pictures of these and of the vast public space inside. More of that to come when they're developed! 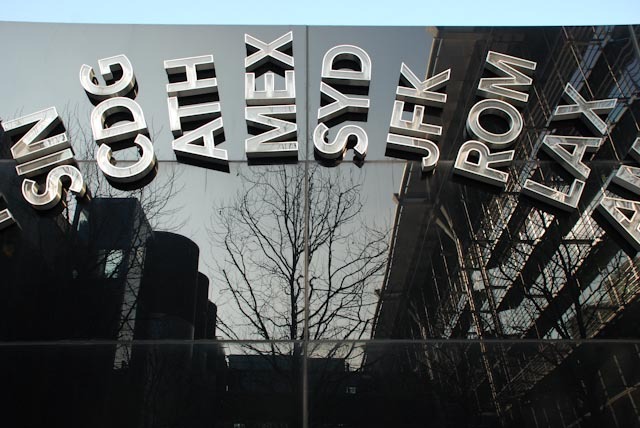 If you've a little time at Terminal 5, take a walk outside to the quiet courtyards, you'll be impressed by this public airport art.